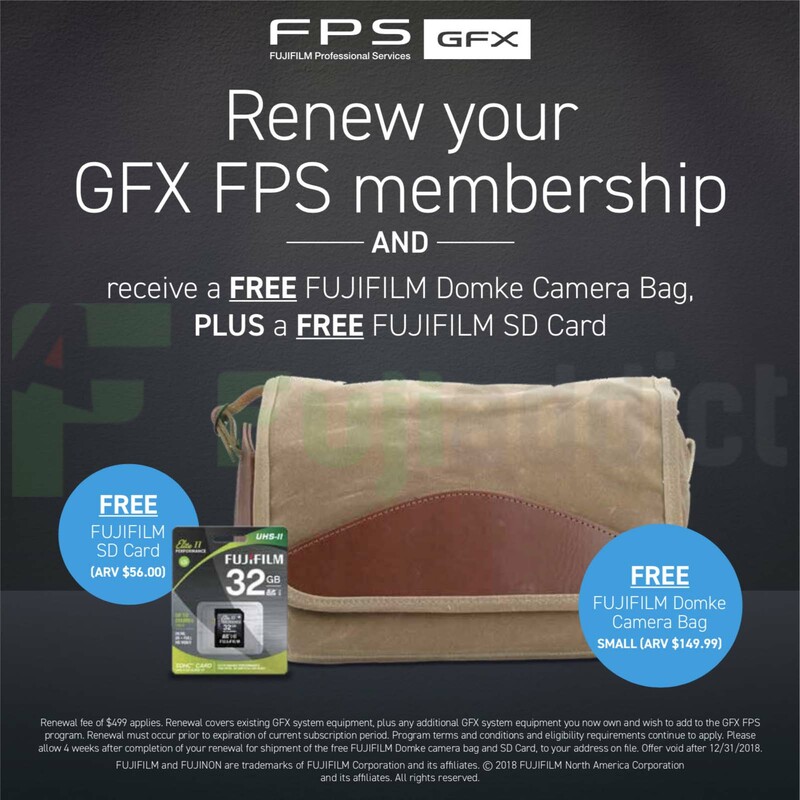 Fujifilm professional services is sending out renewal notices for members that signed up when the program first started and they are offering a nice incentive package for renewing. The inclusion of a free Fujifilm Domke Bag and Fujifilm 32gb UHS-II card is a nice perk and I hope they continue sending stuff out throughout the year in addition to these perks like they did last year. It would have been nice if the UHS-II card was faster, but Fujifilm doesn’t make a faster card right now.